Have you ever thought about writing a letter to The Queen? How would you address it? And since The Queen has multiple residences, where would you send it? Every year, The Queen receives tens of thousands of letters, not only from her subjects in the UK and the Commonwealth, but from people across the world. Many of the letters The Queen receives come from children, so what would it mean to your setting if you received a letter from Her Majesty, that you could proudly display, in answer to some correspondence you’ve sent? We’ve put together some easy-to-follow guidelines so that you can write to The Queen if you want to, and fingers crossed, get a reply back! Strictly speaking, and following court etiquette, no one except personal acquaintances, should write a letter directly to a member of the Royal Family. Instead, letters should be addressed to her Private Secretary, and should follow the formal style, being addressed ‘Dear Sir’ or ‘Dear Madam’ and ending with a formal, ‘Yours faithfully’. Luckily, today’s Royal Family is a modern monarchy and such formal and intransient traditions have been replaced with a much more relaxed, (and friendly) style! Today, the Royal Family’s website (see www.royal.uk) has a ‘contact us’ page which suggests there are two ways that you can write directly to The Queen. The first is a formal way, in which you open with ‘Madam’ and close the letter with the form ‘I have the honour to be, Madam, Your Majesty’s humble and obedient servant’. Which means you have permission to write to The Queen as a pre-school in whatever way feels suitable to you. The first time you mention The Queen, however, you should say, ‘Her Majesty The Queen’ and thereafter you can say ‘The Queen’ or ‘Her Majesty’ depending on the context of the sentence. If you want to congratulate The Queen on something she has done, then don’t use the pronoun ‘you’, but instead, you should use ‘Your Majesty’. For example, you could say ‘I appreciate the wonderful work that Your Majesty has done in our area’. As with all formal letters, you should add your address to the top right-hand corner of the paper, with the date aligned to the right, underneath your address. You can then add the name and address of The Queen on the left-hand side of the paper, and then your salutation, such as ‘Madam’. You can then indent the first line of your letter and begin writing. It’s no good wanting to write to The Queen if you don’t know what you want to say. Is your message one of congratulations, thanks or simple appreciation? If The Queen has recently visited your area, then you might want to show your respect and appreciation for that; or how about? 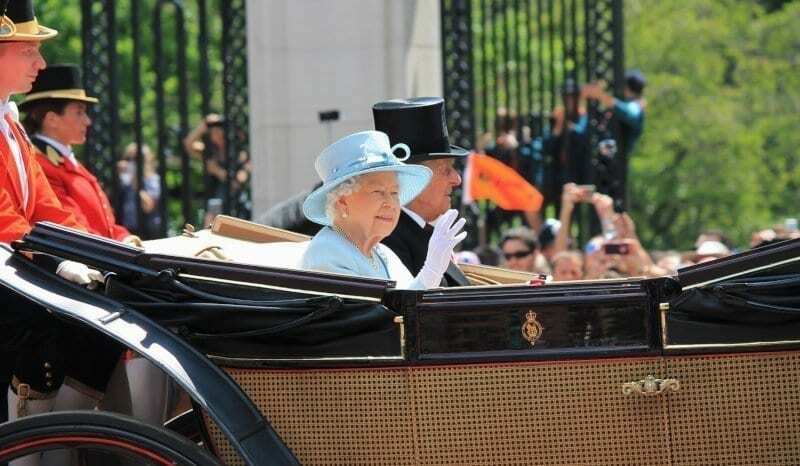 Wishing Her Majesty congratulations for an anniversary – e.g. becoming Queen, which she did on 6th February 1952 – Queen Elizabeth II is officially Britain’s longest reigning monarch! There are a few topics that The Queen, as a constitutional monarch, is not allowed to respond to. These include personal disputes and political matters as Her Majesty is obliged to stay neutral in all such cases. Whatever you say, it’s best to try to keep your letter brief and to the point, ideally less than a page if possible. For security reasons, it is best not to send anything with your letter. You might want to send Her Majesty some perfume or sweets, but be aware that these will not be allowed near The Queen. She does, however, like receiving pictures from children, so it would be a great idea to send some of your setting’s artwork! Finally, you should proofread your letter, then sign it using both your first and last name. Children can add their age too. Undoubtedly, the hardest part about writing to The Queen, is waiting to see if you get a reply. It is highly unlikely that you will receive a letter directly from The Queen, simply because there are just not enough hours in the day for The Queen to read and respond to each letter personally. You are much more likely therefore, to get a letter back from Her Majesty’s Private Secretary or one of her ladies in waiting. But it will still be a letter from the Palace! The Queen and Royal Family also have an Instagram and Twitter accounts, so if you want to find out more about their movements and what they’ve been up to, use the links below.